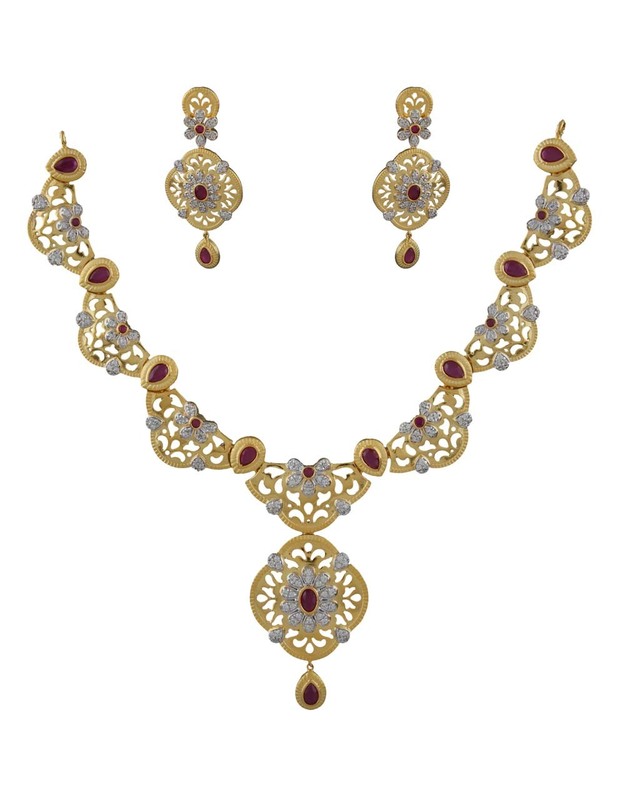 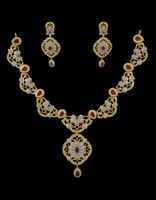 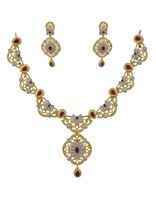 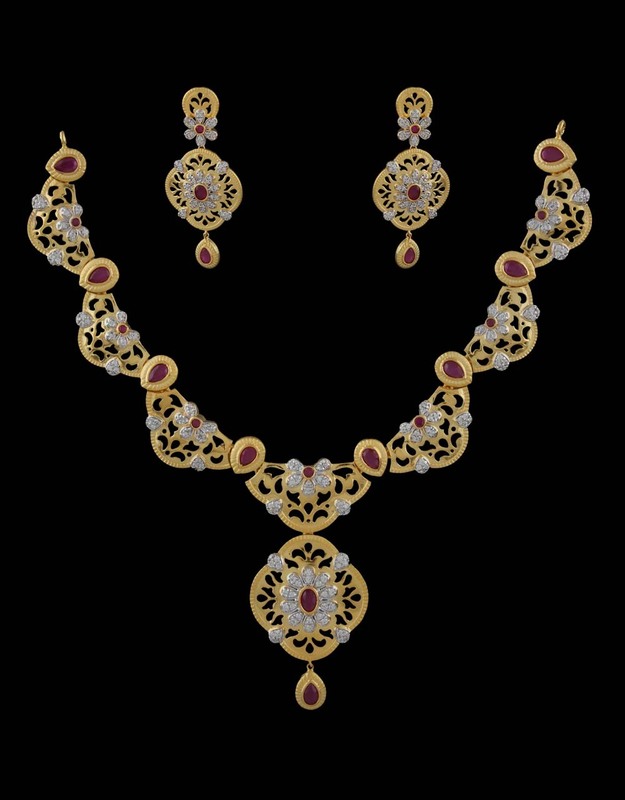 Add spark to your ethnic look by wearing this golden colored necklace set by Anuradha Art Jewellery. 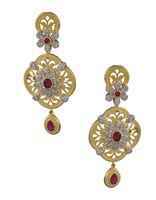 Beautiful, chic and trendy, it will look great when clubbed with traditional dresses. Crafted from 40% silver & golden polished copper to ensure durability. 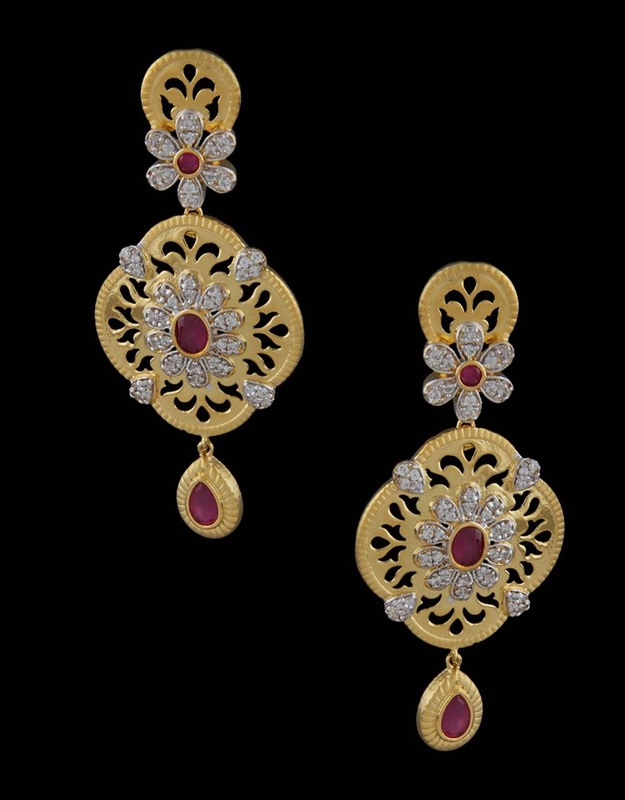 It is perfectly studded with American diamonds & ruby.